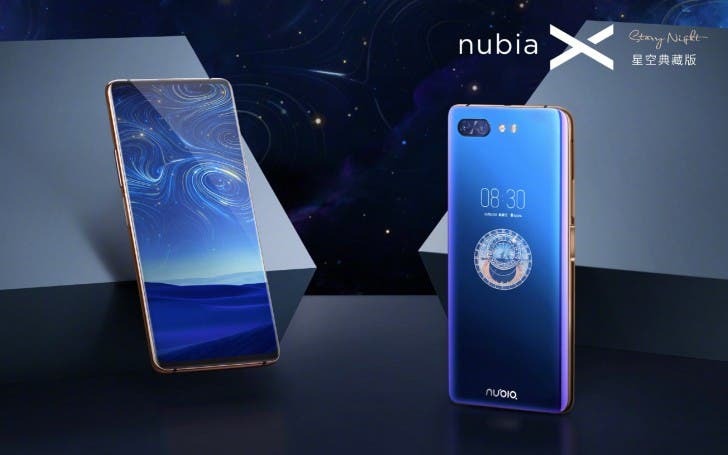 Just a few minutes ago, Nubia officially released the Nubia X smartphone, which removes the front camera and adopts the aggressive bold design of the back screen. At present, it is very rare for domestic manufacturers to adopt this design. However, due to this approach, the main display’s screen ratio reached 93.6%. 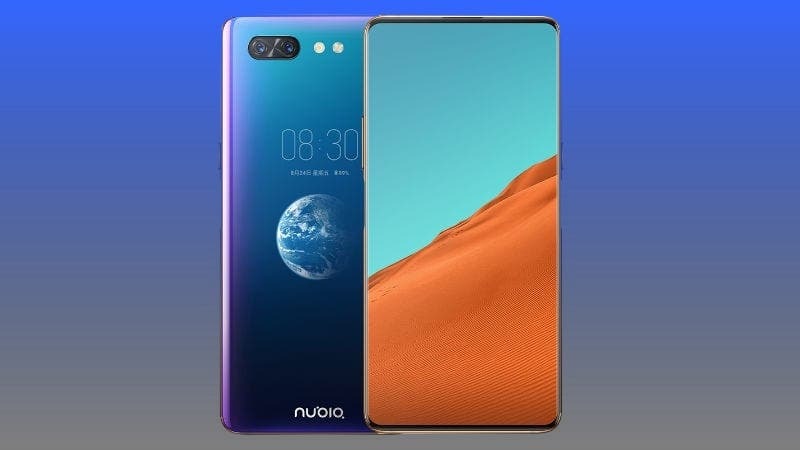 On the front, the Nubia X uses a 6.26-inch LCD display with a 19:9 aspect ratio, a resolution of 2280×1080, and a pixel density of 403PPI. The forehead is quite narrowed. There are only a few sensors such as the proximity sensor and the earpiece. On the bottom, the Nubia X uses the COB packaging technology. That’s why the chin is too narrow. The secondary screen is 5.1-inch in size. It comes with an eye protection mode. Of course, this is a full-featured display, supporting all the operations that can be implemented on a regular screen. It is worth noting that the Blue-Gold Edition and Blue use a super eye protection screen to achieve anti-blue light protection through anti-blue wafer glass technology. At present, the secondary screen of Nubian X has passed the TUV Rheinland certification. As said, the Nubia X comes with a dual-camera placed on the back. 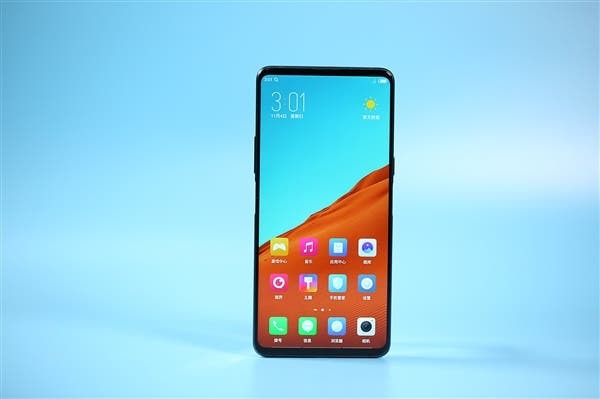 It uses the sensors combination of 16MP + 24MP. The aperture of the main sensor is f/1.8, while the sub-camera has an aperture of f/1.7. There are two flashlights – a dual-color LED flash and a separate soft light. 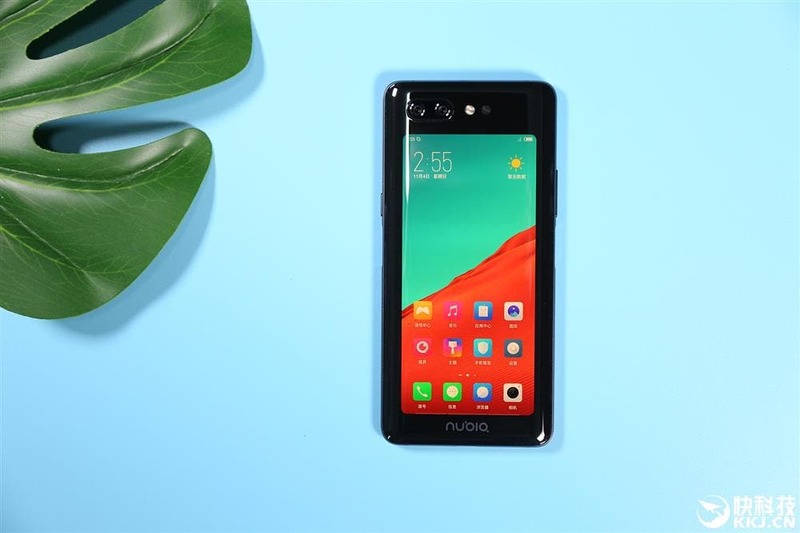 On the top, the Nubia X still has an infrared remote control transmitter, which has become an iconic configuration of the Nubia smartphones. Next to the transmitter, we can see the auxiliary microphone. The speaker, the USB Type-C interface, and the main microphone are placed on the bottom. It supports Nubia’s own NeoCharge fast charge technology, which can achieve up to 18W output power. Surprisingly, Nubia has added fingerprint recognition on both sides. Switching between the screens is realized through this sensors. 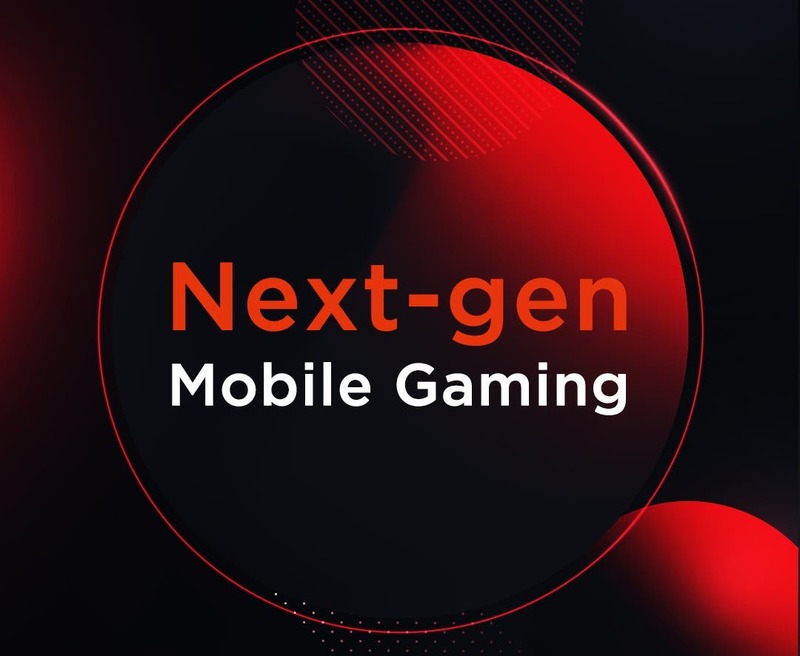 As for the core configuration, the Nubia X is equipped with a Qualcomm Snapdragon 845 processor, a battery of 3800mAh capacity, and runs on Android 8.1 system. The Nubia X is available in blue gold, sea blue, black gold, and deep gray. 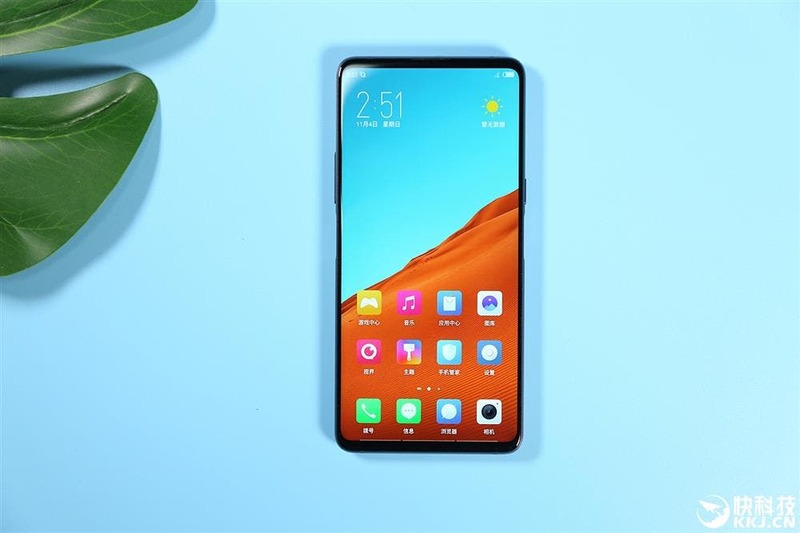 The 6GB+64GB deep gray and black gold versions are priced at 3299 yuan ($473), while the sea light blue costs 3399 yuan ($487). 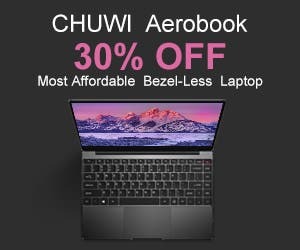 The 8GB+128GB deep space gray and black gold versions are available at 3699 yuan ($530), while the sea light blue is at 3799 yuan ($545). The 8GB+256GB black gold version is at 4199 yuan ($602), and the blue gold version is at 4299 yuan ($616). They will go on sale on November 5.